Prof. Mi Hee Lim of Natural Science (left) and her student, Jeffrey S. Derrick (right) are posing for a portrait at their lab, UNIST. Alzheimer’s disease (AD) is one of the most well-known and common form of dementia. It is also a progressive, degenerative brain disease whose cause is not fully understood, however, amyloid-β (Aβ) peptides, metal ions and reactive oxygen species (ROS) have been suggested to be involved in AD pathogenesis. Despite the numerous treatments that have been developed to alleviate the disease symptoms and improve cognitive functions in AD, an effective and fundamental cure for AD still remain elusive. 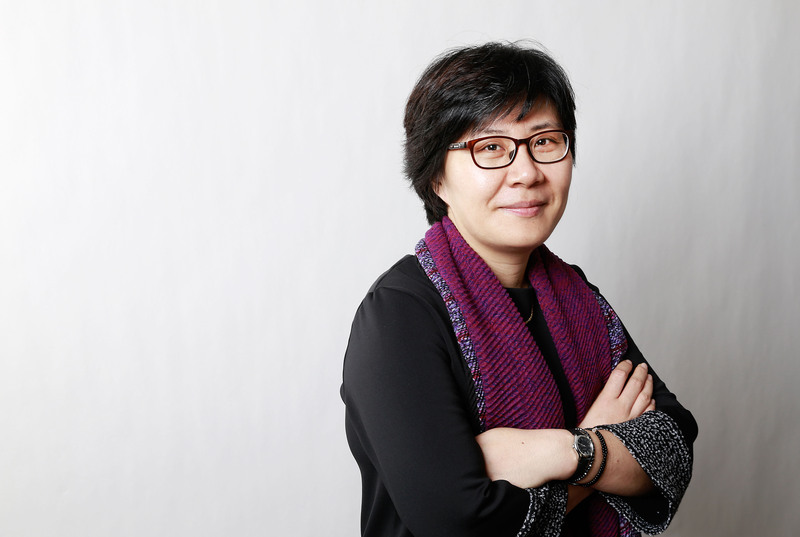 In search for new drugs for AD, a recent study, affiliated with UNIST has suggested that the development of a compact chemical tool which can control the action of multiple pathological features of the disease could help illuminate the molecular level details required to direct further therapeutic approaches. Chemical structure of DMPD and its effects toward metal-free/metal-induced Aβ40 aggregation in vitro. This study was conducted by an international group of researchers, including Prof. Mi Hee Lim (School of Natural Science) of UNIST and her student, Jeffrey S. Derrick (School of Natural Science). 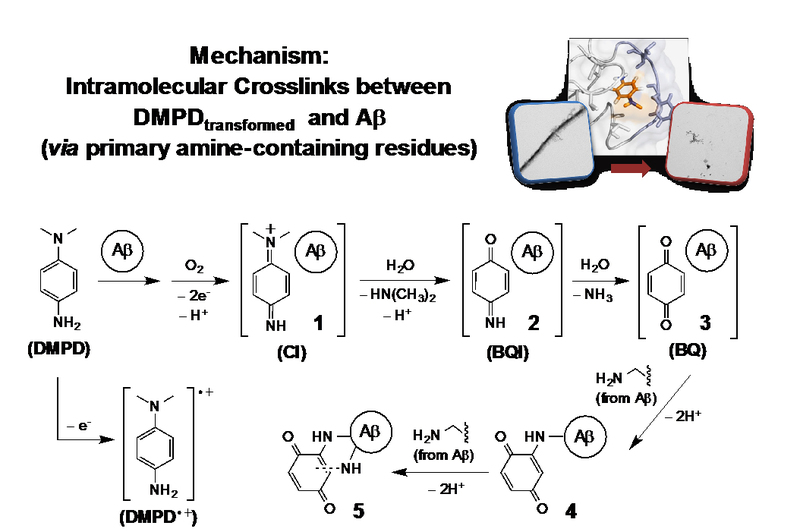 Through this study, the team reported the identification of a novel strategy for redirecting both metal-free and metal-bound amyloidogenic peptides into nontoxic, off-pathway aggregates through the use of a redox-active compact molecule, N,N-dimethyl-p-phenylenediamine (DMPD). The chemical transformation of DMPD with Aβ has been analyzed under various conditions to elucidate how DMPD redirects Aβ peptides into less toxic, off-pathway unstructured Aβ aggregates. In fact, the research team observed the ability of DMPD to significantly reduce cerebral amyloid content with a significant reduction observed for the sodium dodecyl sulfate (SDD)-soluble Aβ species which are indicative of toxic soluble pools of Aβ in an transgenic AD mouse model. 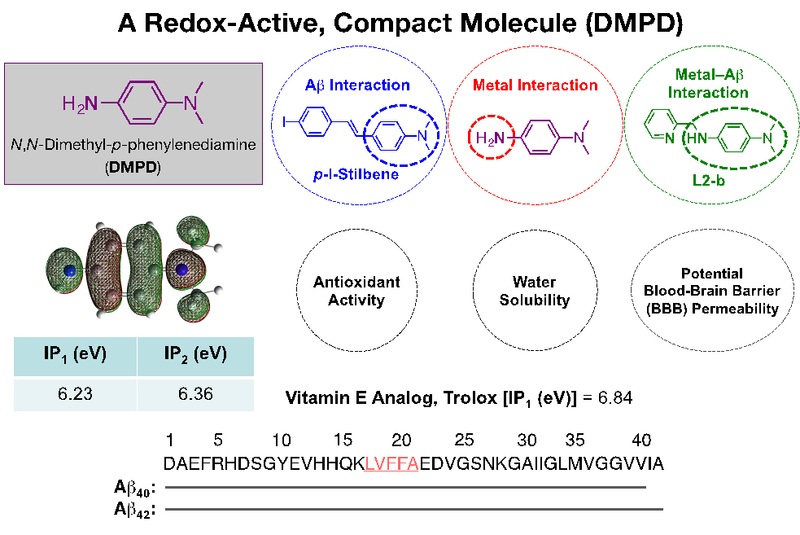 Derrick, J. S. et al., A Redox-Active, Compact Molecule for Cross-Linking Amyloidogenic Peptides into Nontoxic, Off-Pathway Aggregates: In Vitro and In Vivo Efficacy and Molecular Mechanisms. J. Am. Chem. Soc. 2015.